The prime minister, David Cameron, has hit the headlines over the past few years on word that he is sending his daughter Nancy to a “state” school, thus becoming the first serving Conservative prime minister to do so. The optics certainly look good for a party in need of decontamination as privileged so as to better connect with voters in the run up to an election, albeit cries of tokenism abound. No matter whether they attend state schools or not, the prime minister’s children will likely benefit from their privileged connections into the future. The financial crisis of 2008 revealed worrying connections between key players in business and politics. Wherever we look today, we are confronted by small cliques possessing disproportionate influence. The predominance of elite “public schooling” among senior British politicians is alluded to regularly in the UK media, was pointed to during the Scottish referendum, and no doubt will arise again as the general election approaches. The existence of such privilege conflicts with the desires for equality of opportunity, and transparency in decision making, in our democratic age. The dangers of groupthink in such powerful cliques can blind them to alternatives, while their exclusiveness makes the rest of us suspicious of any contribution they make, or decisions they take. Yet, networking is also seen as valuable in building trust, exchanging ideas and making connections. The social networking site, LinkedIn, is valuable enough for over 300 million users across the world to have joined. In light of the perceived benefits/advantages of being part of certain networks, we are fascinated by how early in life it is considered important to gain entry to such systems. Between 1937 and 2012, of the top 18 UK secondary schools supplying British cabinet ministers, only one was state run. By contrast, in Ireland, 11 of the top 18 schools were state run. In the UK, the top 17 fee-paying schools supplied 37 percent of all ministers, whereas in Ireland the top 17 fee-paying schools supplied only 14 percent. In total, 58 percent of UK cabinet ministers attended fee-paying schools, whereas in Ireland the figure was 26 percent. In the UK, 9 of the 14 prime ministers since 1937 came from fee-paying schools, while in Ireland 5 of the 12 Taoisigh (prime ministers) were educated in fee-paying schools. 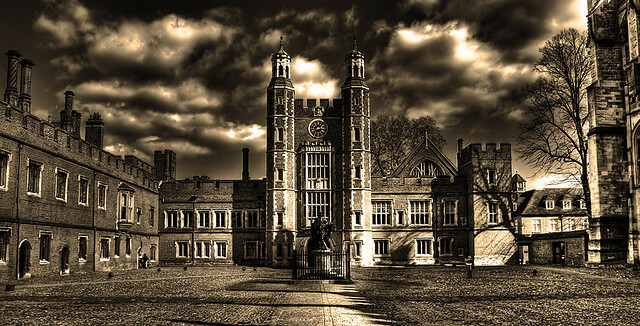 For us, the standout school in the UK is Eton College, which accounts for 47 British ministers and 4 prime ministers - there is no comparable school in Ireland. Although these numbers suggest that a high proportion of the UK’s political elite attended fee-paying secondary schools, one might rightly feel that it is hard to make a reasonable comparison. This is because the numbers fail to take account of the relative size of the two countries, their overall student bodies, what proportion of students attend elite producing institutions, and the relative size of their cabinets. Thus, a problem has been our inability to properly compare elite forming institutions across countries. To resolve this problem, drawing upon indices developed in other fields, we have developed a set of indices that facilitate the comparison of elite formation systems. In examining how elite a system is in the formation of a societal group, we must capture its influence and exclusivity. The influence of these schools comprises the proportion of cabinet ministers associated with the institutions and the limited number, or “fewness”, of the institutions. Exclusivity comprises two aspects. First, the more alternatives there are to any one school, the more exclusivity there is. Second, the more unequal the shares of each school, the more exclusivity there is. Eliteness, at the level of each institution, is the linked combination of exclusivity and influence aggregated to the level of the system. The indices we have developed produce results that are comparable and comprehendible across institutions, jurisdictions and time. By examining the post-primary school systems – providing aggregate summary measures for their eliteness, influence and exclusiveness – we provide a potentially powerful tool for comparing elite formation systems. Given that elite formation in the UK and Ireland is well studied applying our methodology to these cases allows the robustness of our quantitative measures to be examined in the context of previous qualitative work. We found that the post-primary school system in the UK that educated cabinet ministers was more than twice as elite and influential as the comparable Irish system (see Table 1). However, this system was just a little more exclusive than the Irish system. The smaller size of the elite-producing schools in Ireland, compared to the UK, means that the Irish system is closer to the UK’s exclusivity than might first appear. What is also clear from our findings is that, between 1937 and 2012, only a very small percentage of post-primary schools in the UK and Ireland provided cabinet ministers. Until now, while we might have had the general impression that the Irish education system was less elite than the UK one, we had no way to quantitatively scrutinise this. Consequently, our indices constitute a significant new tool for use in comparative elite studies, bringing a level of transparency and comparability that was absent. In the case of the UK, our results underline the general view that elite networks, at least in politics, are formed rather exclusively and early in life in specific fee-paying schools. As C. Wright Mills observed in The Power Elite, elite schools are “agents in a conspiracy of the already privileged to perpetuate their privilege forever”. This direct comparability of the three indices we have developed overcomes a limitation that has restricted our ability to fully comprehend the relationships between different elites. In must be noted that our interest here is in comparing elite formation systems as a whole – in this case, the post-primary school systems in the UK and Ireland that produced cabinet ministers. However, our indices can also be employed across a much broader range of countries, or even within individual countries, to examine a vast range of different types of elites and their formation systems. Further, our methodology can be employed in measuring the influence, exclusiveness and eliteness of specific individual schools that produced cabinet ministers, as can clearly be seen in the data underpinning our research. Brendan K. O'Rourke is a College of Business Research Fellow and Head of the Business, Society and Sustainability Research Centre at the Dublin Institute of Technology. John Hogan is a Lecturer in Irish Politics and International Political Economy at the College of Business, Dublin Institute of Technology. Paul F. Donnelly is a Research Fellow in Organisation Studies and International Business at the College of Business, Dublin Institute of Technology. A fuller description of their research, along with details of all calculations and supporting information, can be found in our article ‘Developing an Elite Formation Index for Comparative Elite Studies: The Case of the Schooling of Irish and UK Cabinet Ministers, forthcoming in Politics and available through early view.